Join us in Monterey to conduct Business by the Beach! We have education to help your business succeed, many networking events, and Texas Hold'em. No matter what industry or the size of your business, social media should be an area of focus for your company. Learn the depths of the social media landscape, the benefits, how to use it, and why each platform can be used for different areas of your business. Miranda will be available to assist those with specific questions and/or app set up. 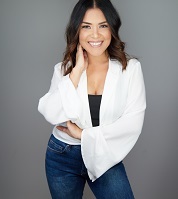 Miranda Toralba has spent the last 8 years in the sales and marketing industry dedicating her leadership and tenacity to a wide variety of industries including travel and tourism, professional sports, tech, and digital advertising. She has had the privilege to work with the Seattle Seahawks the NBA D-League, and developed successful marketing campaigns for Hudson Jeans, Vans, and ProActiv during her tenure at Pandora Radio. Back by popular demand. Every year new laws and regulations are enacted. Learn the potential pitfalls of employment issues and how these mistakes can lead to costly litigation. Allyson K. Thompson partner at Kring & Chung, travels to statewide business organizations as well as to private businesses and associations throughout California to educate business owners on avoiding employment related litigation, wage and hour issues, discrimination, preparing employee handbooks and company policies, updates as to legislative changes to State and Federal labor laws and sexual harassment and management issues. On Thursday, join us for an afternoon of networking and education on a Lunch and Wine tasting. We will travel on comfortable mini coaches take us to lunch in Monterey and then visit wineries that are not open to the public, complete with a tour and snacks. What better way to get to know CPCA members. Special rate of $189 (Bayside rooms and rooms with two beds are just $20 more). All rooms include wi-fi access. Parking is $14/day. You may also call 1-800-362-2779 and request the “California Precast Association” group rate or group code “PCA.” You may book directly at the Embassy Suites website. Use the "PCA" code to receive our special rate. New: We have streamlined the schedule to make your Friday departure easier.